Diversity and inclusion have become buzzwords, not only in North America but around the world. But what do they actually mean? Why does diversity and inclusion matter when it comes to the world of computer graphics and interactive techniques? This information session will examine the concepts of diversity and inclusion to include interactive presentations and panels. We will examine what D&I really means and we will examine the concept of unconscious bias and how our brains work. We will help attendees understand how a focus on diversity and inclusion in their workplaces can lead to more productive and engaged employees. The Summit is open to all but is limited to 120 participants and seating will be first come, first served. “What do we mean by diversity? Often diversity refers to the 17 protected classes (such as gender, race, religion, nationality, sexuality and disability) legislatively governed by law for workplace discriminatory practices or behaviors. Is that the only meaning of diversity? What does inclusion mean and when does it happen? This panel will be a group of successful women in the SIGGRAPH community that will discuss how they are ‘Breaking Bias and Barriers’ We’d focus on where the women are now and have they experienced bias in their careers. Were there obstacles along the way and any lessons learned on their journey? Where are they seeing change today and possibly into the future? What can we do as women to expose the bias not just of others but ourselves too? Where do we hold ourselves back? How do we influence a younger generation? This panel will explore some of these questions and more in an effort to shed light on the issues of women in the community but more importantly to assist the SIGGRAPH community in striving for inclusivity. Jessica K. Hodgins is an American roboticist and researcher who is a Professor at Carnegie Mellon’s Robotics Institute and School of Computer Science. She is also Research and Operations Lead at Facebook’s new FAIR lab in Pittsburgh. She was Vice President of Research at Disney Research and the Director of the Disney Research labs in Pittsburgh and Los Angeles. A pioneer in the use of physical simulation and control as a means to produce character animation, Hodgins has been passionately involved in computer graphics for most of her career. She played an important role in developing library-based control, such as motion graphs, for both animated characters and for robotics. She also worked on how both animated characters and robots can move in expressive ways, an important ingredient both in entertainment and in human-robot interaction. Tony Baylis is the senior management advocate for diversity and inclusion for the Laboratory. Tony is responsible for overseeing the laboratory’s interactions and successful execution in building, partnering and collaborating with governmental, educational, industrial, community interests and other stakeholders. LLNL has had a long history in working with Minority Serving Institutions, specifically relationships with American Indian Institutions, Hispanic Institutions, and Historically Black College and Universities. He represents the Laboratory on the subjects of Diversity and Inclusion, STEM Outreach Efforts, and Student Programs. At LLNL he encourages and mentors the Lab’s Employee Resource Groups and students that reflect the lab’s diverse staff population. Tony’s career represents 30 years of administrative, project, program, technical, and organizational management. He has worked in a scientific and technical environment for over 23 years and has worked as a consultant in industry as well. Tony has extensive experience networking with a broad range of academic, industry, government and non-profit organizations that has educated him and helped him in his career. He was a DOE Minorities in Energy Champion for the department and also serves on a number of conference program committees and advisory boards that promote STEM and diversity in science and technical careers. Michael Bach is nationally and internationally recognized as a thought leader and subject matter expert in the fields of diversity, inclusion and employment equity, bringing a vast knowledge of leading practices in a live setting to his work. 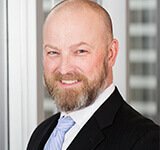 He has deep experience in strategy development, stakeholder engagement, training and development, research, solution development and execution, employee engagement, data analytics, measurement and diversity scorecards, targeted recruiting strategies, marketing and communications, Employee Resource Groups, Diversity Councils, and diversity related legislation (Employment Equity Act, AODA, etc.) among other skills and experiences related to field of diversity and inclusion. Prior to taking on this role he was the National Director of Diversity, Equity and Inclusion for KPMG in Canada, a role he created and held for the past 7 years. Additionally, Michael completed a 2½ year secondment as the former Deputy Chief Diversity Officer for KPMG International. Over the course of his career, Michael has received repeated recognition for his work, including being named as one of the Women of Influence’s 2012 Canadian Diversity Champions. In 2011 he was honoured as the Diversity Champion with the Catalyst Canada Honours Human Resources/Diversity Leader award. He also received the Women of Influence’s 2011 Canadian Diversity Champions, the 2011 Inspire Award as LGBTQ Person of the Year and the 2011 Out on Bay Street Leaders to be Proud of LGBT Advocate Workplace Award. 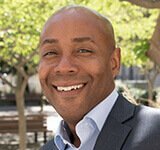 Michael has a Post Graduate Certificate in Diversity Management from Cornell University and also holds the Cornell Certified Diversity Professional, Advanced Practitioner (CCDP/AP) designation. Caroline Simard is passionate about building better workplaces for women through evidence-based solutions. As Managing Director of the Stanford VMware Women’s Leadership Innovation Lab, she is responsible for the execution of the research agenda, business operations, and people management. She also leads the Lab’s Corporate Affiliates program. Previously, she was Senior Director of Research. Caroline served as Associate Director of Diversity and Leadership at the Stanford School of Medicine. Prior to joining Stanford University, Caroline was Vice President of Research and Executive Programs at the Anita Borg Institute (ABI) for Women and Technology, where she led the creation and dissemination of research-based solutions to further gender diversity in scientific and technical careers. 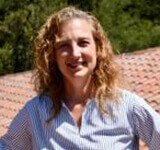 Prior to ABI, Caroline was a Researcher at the Center for Social Innovation of the Stanford Graduate School of Business and an Associate Director of Executive Programs. Caroline holds a PhD from Stanford University and a Masters from Rutgers University. Her publications have focused on technical human and social capital, solutions to recruit, retain, and advance women and underrepresented talent in STEM fields, open innovation, and social networks. Mikki Rose is Senior Fur TD at Blue Sky Studios and is an admitted SIGGRAPH addict. She graduated from Middle Tennessee State University in 2005 with B.S. degrees in Computer Science and Mass Communication with a Digital Animation concentration, then went on to Clemson University and for an M.F.A. in Digital Production Arts. Early on in her education at MTSU she was introduced to SIGGRAPH via the Student Volunteer Program and has continued as a volunteer with the conference ever since. While working on her thesis she moved to Los Angeles, CA to work as a Technical Animation TD at Rhythm and Hues Studios, followed by a similar role as Cloth and Hair TD at Sony Pictures Imageworks. 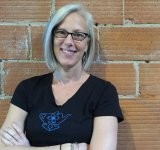 Changes in the flow of work in the VFX industry prompted a move to New York to join the team at Blue Sky Studios, where she has happily been for the last four years. The adventure continues! After 10 years and working in every role within the Student Volunteer Program, she fulfilled a goal she made during that first volunteer experience and chaired that same program in 2012 Since then, she has been honored to volunteer on several special projects, as Co-Chair of the Computer Animation Festival for SIGGRAPH 2015, Production Sessions Chair for SIGGRAPH 2016, and now as the SIGGRAPH 2019 Conference Chair. Mashhuda Glencross career has spanned academia technical product management, independent consulting and working with start-ups. Her research focus is on creating effective virtual environments (VR/AR/XR) and has included 3D reconstruction, distributed VR, real time massive model rendering, visual perception, IoT, Visualisation and haptics. Her work has been published in high impact journals and conferences such as SIGGRAPH, TOG, TOCHI, IEEE TVCG, IEEE VR. She has also served on SIGGRAPH programme committees and reviewed for international conferences and journals. 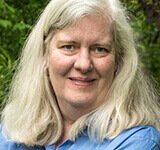 She is a current member of the ACM PACM steering committee and an associate editor for Computers and Graphics. Kevin Griffin is a Group Leader for the Weapons Information & Infrastructure Integration Group at Lawrence Livermore National Laboratory in Livermore, California. Kevin is also a Software Engineer and Scientific Visualization Researcher for LLNL serving as one of the key developers for VisIt, a distributed, parallel visualization and graphical analysis tool for data defined on two- and three-dimensional meshes. He also serves as the technical lead for PyDV, a one-dimensional graphics and data analysis tool. Artist and technologist Daniel Gene Pillis is a Research Assistant Professor in Immersive Environments at Virginia Tech’s Institute for Creativity, Arts and Technology. Their team pursues research at the intersection of queer theory, virtual reality, and embedded forms of consciousness in objects and narrative experiences. Diversity and technology, robotics archaeology, and methods for interacting with and understanding the phenomena of time, aging, and history are all current areas of research. Pillis was previously researcher and artist-in-residence at the Robotics Institute at Carnegie Mellon University with Dr. Christopher Atkeson, where they focused on soft machines and inflatable robotics. They hold a Masters degree focusing on Virtual Reality and Immersive Environments from Carnegie Mellon University, where they worked with the father of computer graphics, Ivan E. Sutherland, as well as esteemed computer scientist Jessica Hodgins. Previously, Pillis received a Bachelors in Cognitive Science from Rutgers University, where they conducted research in the Decision Making Laboratory with Dr. Gretchen Chapman. Pillis has exhibited work at the Warhol Museum, (Pittsburgh, PA) the Leslie Lohman Museum of Queer Art, (NYC), Newark Penn Station, (Newark, NJ) and has performed at the Museum of Contemporary Art, (Cleveland, OH), Open Engagement International Conference (Pittsburgh PA) and the Theatre for the New City in the East Village (NYC), as well as numerous other galleries and internet venues. 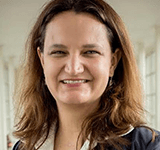 Dr. Aruquia Peixoto is an Assistant Professor at CEFET/RJ in Rio de Janeiro, Brazil. She have a B.S. in Mathematics from UFRJ (Federal University of Rio de Janeiro), a M.S. in Engineering of Computing and Systems from COPPE/UFRJ and a PhD in Mechanical Engineering from PUC/RJ, all these institutions are in Rio de Janeiro, Brazil, and are some of the best universities in Brazil. She worked in the implementation of the State University of Roraima in the extreme north of Brazil, in 2006. She advised undergraduate students in scientific projects in UERJ (State University of Rio de Janeiro), where she win four prizes as co-advisor, working with Paulo Rogerio Sabini, two prizes in UERJ, one as best work of Mathematics, and other as one of three best work in the technological field, and she have two honorable mention in a national student’s projects presentations in the Jornadas de Inicação Científica organized by IMPA (National Institute of Pure and Applied Mathematics). She is member of the ACM SIGGRAPH International Resources Committee since 2013, member of the SIGGRAPH Asia Symposium on Education Committee in 2016 and 2017, and co-organized the meetings Women in CG in SIGGRAPHand SIGGRAPH Asia Conferences, organized the meeting Girls in STEM in SIGGRAPH Asia in 2016 and 2017. During the year 2016 to 2017 she was visiting faculty at University of Kansas. In the conference IEEE EDUCON irganized and was the moderator of the roundtable Women in Engineering: Issues and Perspectives in 2017 and in 2018 was panelist of the round table Women in engineering: Addressing the gender gap, exploring trust and our unconscious bias and was the organizer and chair of the special session IDEE (Inclusion and Diversity in Engineering Education). Natalie Rountree graduated from Middle Tennessee State University in 2014 with a Bachelor’s of Science with a focus in Digital Animation. After going to my first SIGGRAPH conference in 2014 as a student volunteer, she was hooked as soon as she picked up her SV T-shirt. She applied the next year as a Team Leader and got an amazing opportunity to grow within the conference community. She continued that role for the next 2 years after, in the mean time talking about a possible focus area to highlight adaptive technology within the conference. 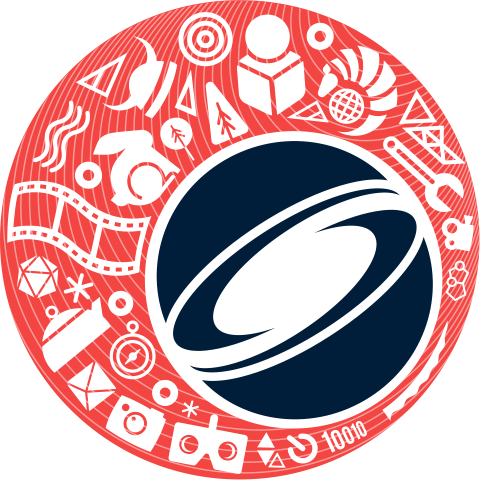 One of her dreams came true and she is honored to be the Co-chair of the Adaptive Technology Focus Area at SIGGRAPH 2019. 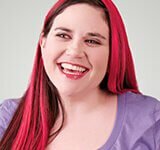 Her current personal projects are her blog Disability Champion, whose mission is to eliminate disability stigmas one day at a time. 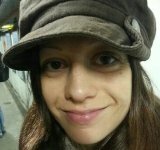 She hopes this blog will do a small part to make our world more adaptable for all people with people with disabilities. Skawennati makes art that addresses history, the future, and change. Her new media projects are included in both public and private collections and have been presented in major exhibitions such as “On Desire” at the B3 Biennale of the Moving Image in Frankfurt, Germany; Now? NOW! at Denver’s Biennial of the Americas; and Looking Forward (L’Avenir) at the Montreal Biennale. Born in Kahnawà:ke Mohawk Territory, Skawennati holds a BFA from Concordia University in Montreal, where she resides. She is Co-Director of Aboriginal Territories in Cyberspace (AbTeC), a research network of artists and academics who investigate and create Indigenous virtual environments. Their Skins workshops in Aboriginal Storytelling and Experimental Digital Media aim to empower youth. In 2015 AbTeC launched IIF, the Initiative for Indigenous Futures. Zoe Cranley joined Dneg after graduating in 2005. 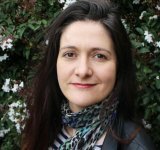 Originally based in London, she progressed through roles as Matchmove Artist, Generalist TD, Lighting TD, Lighting Lead and CG Sequence Supervisor working on the likes of Harry Potter: The Order of the Phoenix, The Dark Knight, Sherlock Holmes, and John Carter. In early 2012 Zoe moved over to Dneg Singapore, as CG Sequence Supervisor before moving on to become CG Supervisor on the likes of Hunger Games: Catching Fire, Muppets Most Wanted, and Godzilla. In 2015, Zoe took on the challenge of heading to British Columbia to help set up Dneg Vancouver. She worked as CG Supervisor on Alice Through the Looking Glass and Wonder Woman. Since March 2017, Zoe has taken on the ‘Head of Build Department’ role at DNEG. She is also on the leadership committee of SPARK CG Society and Vancouver ACM Siggraph Chapter. I am June Kim, an interactive artist, PhD candidate and casual academic at the interactive media lab, UNSW art & design (University of New South Wales), Australia. For my research, I currently explore self perception, self and memory with practice to create a series of non-representational virtual reality artwork based on my fragmented memories. I have experience in teaching and researching at USYD (University of Sydney) , QUT (Queensland University of Technology) in Australia and AUT (Auckland University of Technology) in New Zealand for last four years. Before having my career goal as a practitioner-researcher and academic, I had worked as a compositor (lead) and generalist (2D & 3D) around eight years in NZ. I have my degree (Business in IT), Postgraduate Diploma (Communication studies) and MCT(Honours) (Masters of Creative Technology) at the AUT in NZ. June Kim is an interactive artist, PhD candidate and casual academic at the interactive media lab, UNSW art & design (University of New South Wales), Australia. For my research, I currently explore self perception, self and memory with practice to create a series of non-representational virtual reality artwork based on my fragmented memories. I have experience in teaching and researching at USYD (University of Sydney) , QUT (Queensland University of Technology) in Australia and AUT (Auckland University of Technology) in New Zealand for last four years. Before having my career goal as a practitioner-researcher and academic, I had worked as a compositor (lead) and generalist (2D & 3D) around eight years in NZ. I have my degree (Business in IT), Postgraduate Diploma (Communication studies) and MCT(Honours) (Masters of Creative Technology) at the AUT in NZ. Trina has been a graphics geek since the early days of flying logos. An obsession with early music videos inspired her to leave her hometown of Seattle and head to Chicago to study VR and Scientific Visualization, dropping her into a wonderful world of gravitational waves and Big Bang theories. The physics experience helped her land a job writing physics-based simulation code for a little movie about a big green ogre named Shrek. Since then she’s worked in three countries on eleven different movies including Harry Potter, The Dark Knight and Inception. Now she’s back in the world of animation working as a Senior Engineer on Pixar’s RenderMan software team. A long-time member of ACM SIGGRAPH and the Visual Effects Society she has recently become a Surrogate Committee Member for the Scientific and Technical Academy Awards. She started attending SIGGRAPH as a student volunteer in 1992 and is now reaching out to the younger generation encouraging young women and girls to get involved in STEM careers. She mentors students through Skype in the Classroom and has served on several panels discussing STEM and technology careers, including the SIGGRAPH Women of Pixar panel. 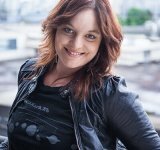 Sarah Matthews is an Effects Technical Director at Weta Digital. Her contributions to a film range from atmospheric particulates to environment motion, water and volumetric simulations, and large-scale destruction. Sarah graduated from the Auckland University of Technology in 2009 with a Bachelor’s Degree in Communication Studies majoring in Digital Media. She went on to Huhu Studios where she led the rigging department, and developed and maintained the show pipeline. Sarah joined Weta Digital in 2014 for the completion of Rise of the Planet of the Apes and The Hobbit: The Battle of the Five Armies. Since then, she has contributed large-scale waterfalls for Avatar: Flight of Passage, destruction and animation-driven effects for Maze Runner: The Death Cure, foliage motion in War for the Planet of the Apes, ghost simulations for Spectral, and has tried her hand at lighting shots for Alvin and the Chipmunks: The Road Chip. She is currently working on Alita: Battle Angel. Kate has been working in VFX/animation for 15 years. After obtaining a BSc in Computer Science/Maths from the University of York, she spent a year as a junior systems administrator at MPC before returning to academia to study for an MSc in Vision, Imaging and Virtual Environments (VIVE) at UCL, which helped her transition to development roles at MPC, Framestore, Pixar and even (briefly) Electronic Arts. She is currently a senior developer at Framestore, working on a variety of applications; her projects there to date have included simulation of both rigid and deformable objects, as well as crowd editing, grooming and layout tools. Clara Chan is a CG Supervisor at Sony Pictures Imageworks. She has contributed to HOTEL TRANSYLVANIA 3, THE EMOJI MOVIE, and STORKS. Previously Chan served as a senior technical director at Imageworks. Her credits include: HOTEL TRANSYLVANIA 2, THE AMAZING SPIDER-MAN 2, OZ: THE GREAT AND POWERFUL, THE AMAZING SPIDER-MAN, HOTEL TRANSYLVANIA, CATS & DOGS 2, G-FORCE, BEOWULF, MONSTER HOUSE, POLAR EXPRESS, EARLY BLOOMER, and STUART LITTLE 2. 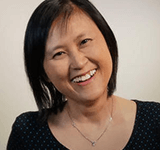 Earlier in her career, Chan worked as a software engineer at NASA’s Jet Propulsion Lab. Chan earned a B.S. in computer science from Rensselaer Polytechnic Institute and a master’s degree in visualization sciences from Texas A & M University. Rachel Rose joined Industrial Light & Magic in 2007 as a Research & Development Engineer. In 2016, she was promoted to R&D Supervisor for Animation, Virtual Production, Digital Modeling and Creature Development and Simulation. In this role Rachel is responsible for driving both long-term and short-term technology that aids artists in the creation and animation of characters for feature films. During her time at ILM, Rachel has worked on a wide variety of tools including: BlockParty 2, a visual, procedural rigging system for which she was awarded a Technical Achievement Award by the Academy of Motion Picture Arts and Sciences in 2018; VSet, a comprehensive virtual production tool package; Fez, ILM’s facial animation system; and Mobius, a tool for translating character setups and animation from Maya to ILM’s in-house proprietary software called Zeno. These tools have been used in many well-known films, including Rogue One: A Star Wars Story (2016), Star Wars: The Force Awakens (2015), Transformers: Age of Extinction (2014), Noah(2014), Battleship (2012), The Avengers (2012), Mission: Impossible – Ghost Protocol (2011), Rango (2011) and Indiana Jones and the Kingdom of the Crystal Skull (2008). Prior to joining Industrial Light & Magic, Rachel received a Bachelor of Arts in Computer Science and English from Grinnell College. Rachel continued her education at the University of Wisconsin-Madison, where she received a Masters degree and Ph.D. in Computer Science. While in graduate school, Rachel spent two of her summers working for Rockstar Games. She currently resides in the San Francisco Bay Area with her husband, Justin, and her two young children. Andrea Chlebak is a supervising colorist, who has worked in the film industry for 15 years. Andrea got her start as a stills photographer, then editor and compositor before seizing the opportunity to become a colorist in 2006. Since then, she has set her sights on a rapidly growing collection of feature, series and commercial projects, including Hollywood heavy hitters like ELYSIUM, CHAPPIE and THE TWILIGHT SAGA: ECLIPSE, animated features like Kahlil Gibran’s THE PROPHET and award-winning independent features, including MANDY and PROSPECT.